August bank holiday is just around the corner and to some Londoners that can mean only one one thing. Two fantastic days of Notting Hill Carnival. But the fun doesn’t need to stop and start there, why not get warmed up with the National Panorama competition on Saturday. Six steelbands have been rehearsing all year and are now ready to deliver a perfect pan rendition and impress the judges. With some bands consisting up to 100 musicians, this evening will be as energetic and lively as you can imagine. 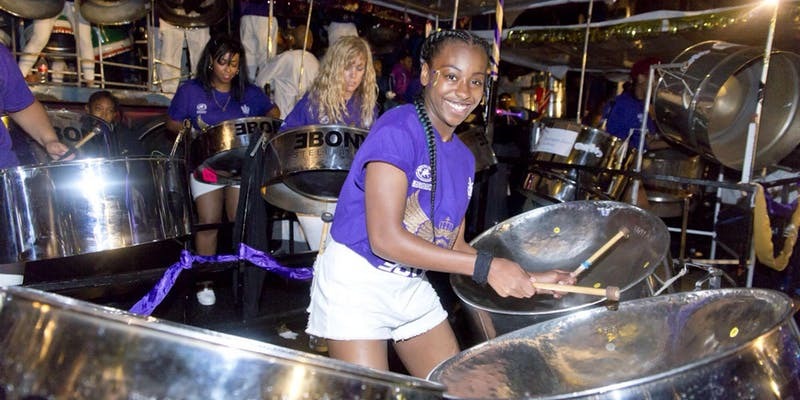 Reigning champions Ebony Steelband will be fending off Croydon, Mangrove, Metronomes, Phase One and Rapso for the coveted title of UK Panorama Champions for 2018. Taking place outdoors, you can eat Caribbean street food and dance to your heart’s content, or until your feet really hurt. Then wake up the next day and take that same vibe to the carnival!